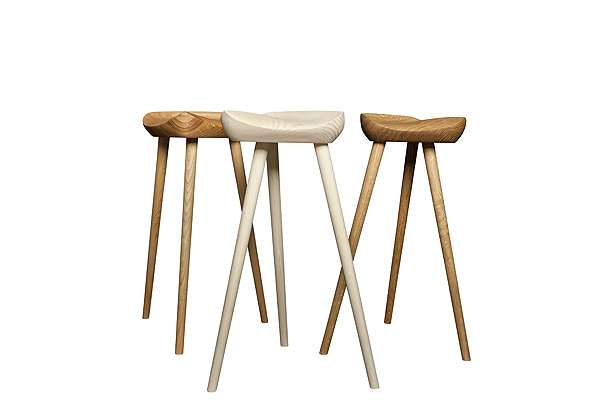 PP Møblerwill launch the three legged saddle stool Sela designed by Brazilian woodworking artist Ricardo Graham Ferreiraat the Selvini showroom upon the occasion of the MilanoSalone Del Mobile2018. Awarded for its use of alternative wood types of Brazil in 2015, until now Sela has been hand-carved by Ricardo in his studio workshop close to Rio de Janeiro using tropical hardwood. 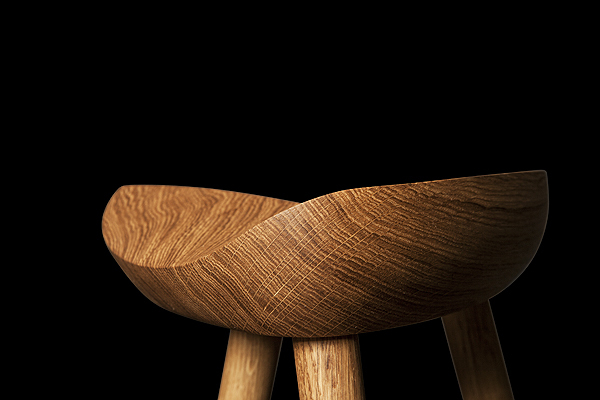 The new partnership with PP Møbler of Denmark, makers of the iconic fine craft´s collection by Hans J. Wegner, allows Sela to reach a new audience, made in variations of woods native to the Nordic forests. The organic sensual and ergonomic form literally came out of the hands of the Brazilian designer and artisan. “It was impossible to draw this shape. 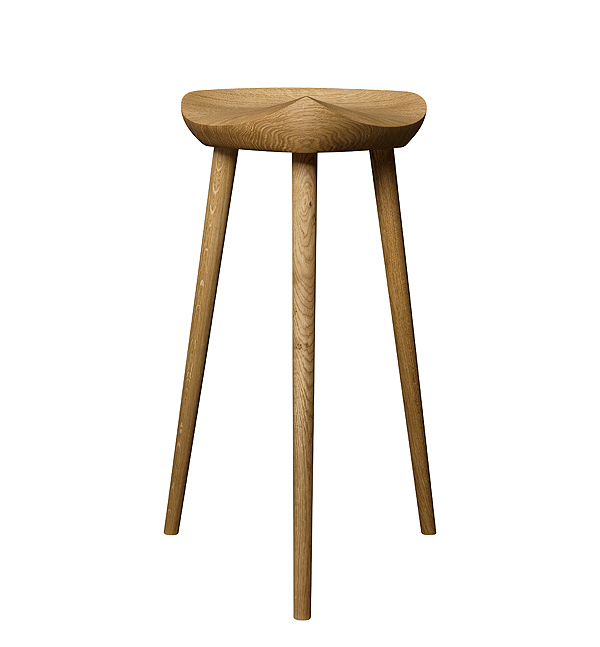 I just knew I wanted a three-legged stool with a perfect position for the pelvis. I stood in front of the wood and began to spontaneously carve. The rest was pure pleasure and elbow grease”. A natural encounter between members of the wood family, Ricardo made the connection to Kasper at the 2015 Salone del Mobile in Milan. They immediately spoke the same language and Ricardo visited the PP Møbler workshops shortly after. 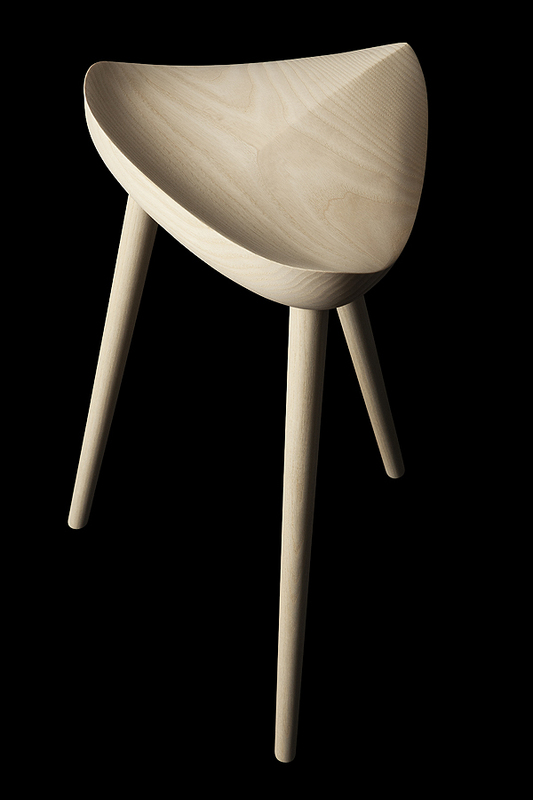 “To hear Kasper speaking of this stool in ergonomic and comfort terms as well as of the nature of wood, was very inspiring for me. The collaboration with the extraordinary savoir-faire of PP Møbler is an incredible opportunity and an achievement that will allow a larger public to enjoy my work” says the Brazilian designer. 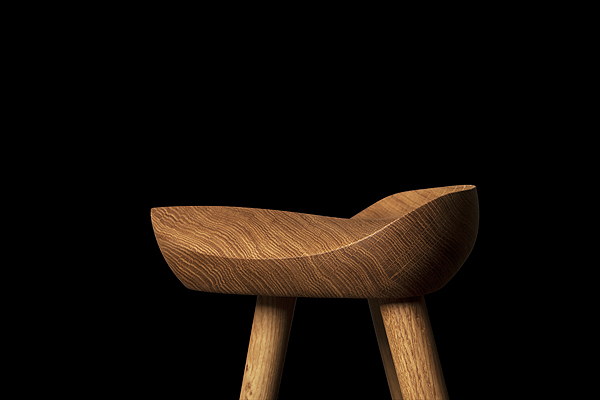 This collaboration paves the way for PP Møbler to hold a discussion on wood, craftsmanship and sustainability and to highlight some common misunderstandings “When we speak of sourcing wood, the general public perception is to advocate for the stop of its use in order to halt deforestation, but it is an error. Most often decrease of forest area happens when forests are turned into farmer land, because farmland is more profitable than forest. We must find sustainable managed forests and support their business by buying their wood. It is the only immediate manner to keep forestation attractive and encourage replanting to maintain and hopefully even expand the forests. Establishing forest holds so many benefits to our society and environment. And after all wood is the only major construction material that we can actually cultivate and exploit in balance with nature.” explains Kasper Holst Pedersen.